In addition to the main dining area, Reel has a private dining room that is perfect for special occasions and business meetings. The private room comfortably seats up to 32 guests, and tables can be arranged to fit your specific needs. The room can be closed off from the main area for privacy or left open for a more festive, casual atmosphere. The tables can be dressed up or down, while the room can also be decorated for your occasion. The large screen, smart TV, is perfect for business presentations or displaying photographs and slide shows. The room is ideal for any occasion that brings together large groups wanting to celebrate. 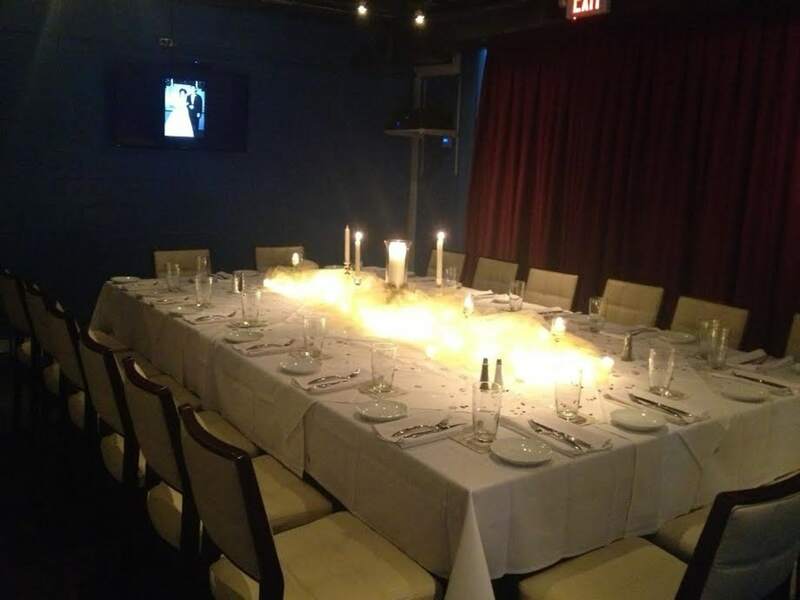 Birthdays, graduations, anniversaries, engagements, and baby and bridal showers are just some of the reasons to reserve our private dining room. For business clientele, the room is perfect for meetings, presentations and office parties. To reserve the private dining room, please call us at 770-627-3006.